After 23 years in the Congress, Sarma walked out of the party in 2016 to join the BJP. 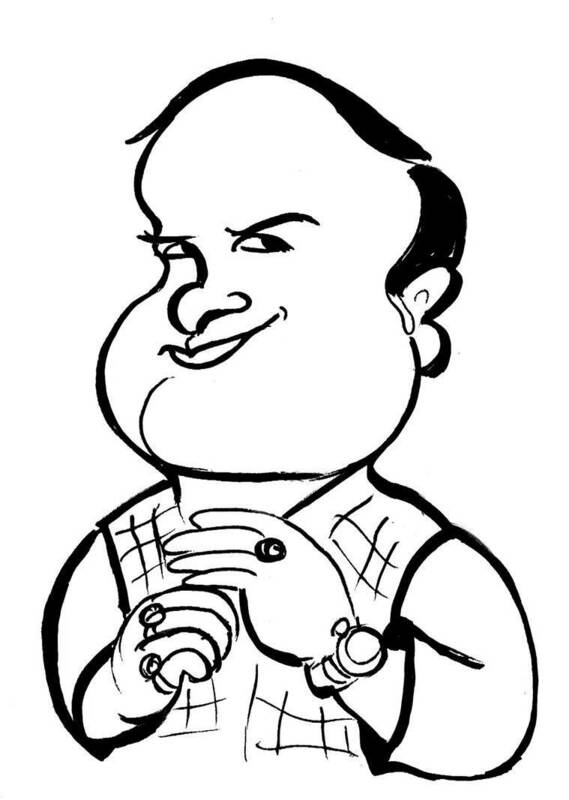 Later that year, he was credited for the party’s win in the Assam Assembly elections. As chairman of the BJP’s Northeast Democratic Alliance, the Assam minister has been instrumental in increasing BJP’s influence in the region. With the Citizenship (Amendment) Bill and National Register of Citizens sparking protests in the Northeast, Sarma has been working to placate NDA partners there ahead of the Lok Sabha polls. He is confident that despite apprehensions, people in the Northeast will vote for the BJP, for the government’s development work. When we tried to get the Citizenship (Amendment) Bill passed, a certain section of people supported it and another section had its reservations. Even then I had said that irrespective of the outcome, the Bill will not affect the BJP. No election is fought on a single issue. The opinion on the Bill may be divided, but when it comes to the Northeast and the development that has taken place under the leadership of Prime Minister Narendra Modi… there has been no ‘for’ and ‘against’. People feel they have been given a fair deal. We have been travelling across the Northeast and talking about the Bill. The tribal culture is very strong in the region. We can incorporate certain things which will assure the people in such villages that this Bill will not affect their culture and rights. We have started the process again. People have realised that the BJP has good intentions, that is to protect the Northeast. LIZ MATHEW: But the Citizenship (Amendment) Bill is an emotional issue. Won’t the people of the region take that into account while casting their votes? People of the Northeast will vote in the same way as the rest of India. In the Northeast it is all about development. In the last five years, every state in the Northeast has been connected by the Rajdhani Express, metre gauge has been converted to broad gauge, single-track railway lines are being converted to dual tracks, bridges have come up over the Brahmaputra, all the states are connected by airways, Bangladesh is opening its ports for trade with people of the region… There has been a dramatic turnaround in the fortunes of the region. We believe the people of the Northeast will vote wholesale in favour of the BJP and the NDA. LIZ MATHEW: After the aerial strikes in Balakot, Pakistan, national security seems to have overshadowed all other election issues. Will it work to the BJP’s advantage? I don’t believe that people will vote only on the basis of national security. Look at the number of initiatives taken by the Centre in the last six months alone. Beneficiaries under the Ayushman Bharat scheme have been increasing. There is the 10 per cent quota for the Economically Weaker Sections. All these steps have created a situation in favour of the Prime Minister and the BJP. People now know that the PM is serious about national security. But, at the same time, he is also serious about health, economically weaker sections of people… My belief is that the Prime Minister will get votes for the whole package. ABANTIKA GHOSH: But if the BJP has so much going for it, why resort to polarising rhetoric? You were quoted as saying that without the Citizenship Bill, 17 Assembly seats in the state will go to Bangladeshi Muslims. That statement was made after the Assam elections; there were no polls around then. I still believe in it. People of Assam are in serious danger of losing their identity. I am going to tell this to the people of India, irrespective of elections. It’s a hard fact which has also been accepted by the Supreme Court. On the NRC (National Register of Citizens), their (the Supreme Court’s) words have been more harsh than what I’m saying. They called it ‘external aggression’. The number of Muslim migrants who have entered Assam post 1971… it has created a situation almost like an external aggression. This is the language of the Supreme Court. ABANTIKA GHOSH: But wouldn’t the Assamese identity be diluted just as much if migrants other than Muslims come into the country — which is what the Citizenship Bill is attempting? You have to realise that Assamese identity is part of the Indian identity. We have our independent culture, but overall we are part of India’s culture and ethos. But the Muslim migrants do not share our common identity. We are fine with indigenous Muslims. We are proactively working for the welfare of the economically disadvantaged indigenous minorities in Assam. But, Muslim migrants from outside India are posing a serious cultural threat to Assam and India. When it comes to Hindus, Sikhs, Jains… they are like you, like us, they cannot create additional political or cultural challenges to us. KRISHN KAUSHIK: But the Assam agitation did not have a religious aspect at all. The agitation was against Bangladeshi migrants, not Muslim migrants. That’s debatable. When we participated in the Assam agitation, we only cited data about Muslim migration, because of whom we were losing our identity. But across India people did not want to speak about it frankly. They felt that if you say something you will be seen as not secular. In the last 10 years, and after the BJP came to power, people have started speaking a bit more frankly. During the Congress’s term, you were brought down by the word ‘secularism’. Now, you can actually interpret the meaning of secularism differently compared to how it was interpreted by the Left secular people. We have that liberty now, and people have started speaking frankly — that our identity crisis is from the Bangladeshi Muslims. KABIR FIRAQUE: But the Silapathar massacre of 1983 was of Bengali Hindu refugees. The sentiment, or ethos as you put it, in Assam, has always been against Bangladeshis, irrespective of religion. These are issues for a researcher, not a politician. As a politician who has participated in the Assam agitation, this is how I have understood it. The agitation was supported by the BJP, and Atal Bihari Vajpayee. Both Vajpayee and L K Advani reiterated that the people of Assam should have a different view with regard to refugees and economic migration. The underlying tone, according to us, was that people were always against Bangladeshi Muslims. KRISHN KAUSHIK: The Asom Gana Parishad (AGP) had reservations about the Citizenship (Amendment) Bill. Now they are back in the NDA fold. Is the BJP still committed to the Bill? In the last few months, we have tried to discuss the Bill logically (with the AGP). We have discussed introducing safeguards in the Bill to ensure that it does not affect people’s sentiments. We have started discussions with the AGP on the safeguards. We are doing the same with our other partners in the Northeast. We will come to a conclusion that is acceptable to all parties. We will prepare a more acceptable draft of the Bill and then present it to the government and, hopefully, they’ll look into it. Hopefully, we will see the Bill next June or July. P VAIDYANATHAN IYER: When seasoned politicians such as yourself talk about Bangladeshi Muslims, on the ground the sentiment is generalised to mean all Muslims. Do you see that happening? That’s wrong. We should not have any grievances against Muslims who are part of India, who have equal rights as me or any other Indian citizen. I have a secular mindset. Though I understand secularism in my own way, I have full respect for Muslims in general. Our fight with Bangladeshi Muslims is on ethnic lines not on religious lines. Assamese Muslims understand this. Let me give you an example. After the Balakot air strikes, we registered 92 cases against Bangladeshi (migrants) who posted ‘Pakistan zindabad’ on social media. After arresting them, we found that all of them were recent migrants from Bangladesh. They are posing a civilisational challenge to us. But Assamese Muslims, Muslims from UP or Bihar are different. Those interpreting our fight against Bangladeshi Muslims as a fight against Muslims are wrong. We are not against Indian Muslims. SHUBHAJIT ROY: Last year, when the NRC list was made public, Home Minister Rajnath Singh travelled to Dhaka and told his Bangladeshi counterpart that there was no question of sending back any person from India. The Bangladesh Deputy High Commission in the Northeast also shared their concerns with you. Can you tell us about it? 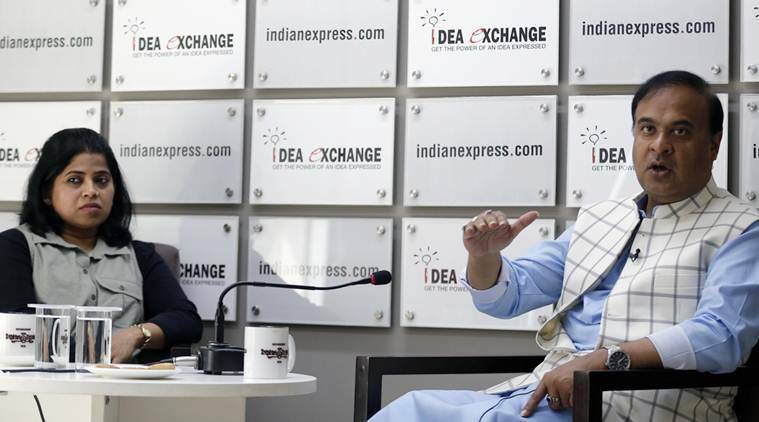 Rajnath Singh said that nobody will be sent back to Bangladesh as long as the government accepts them as citizens. I am not for large-scale deportation to Bangladesh either because that will take 15-20 years. We want to create a list of people who have migrated from Bangladesh. Then we want to discuss what rights should and shouldn’t be given to them. They should get the right to health and education, but when it comes to land, voting, they cannot get that. This is to ensure that they do not pose a challenge to our political or cultural identity. Having said that, India has a long tradition of respecting human rights and you cannot deal with anybody, Hindu or Muslim, inhumanely. But, at the same time, you cannot allow them to encroach upon your society. So, till Bangladesh accepts them as their citizens, one should not push them inhumanely across the border. You cannot put them in a train and send them away. LIZ MATHEW: But BJP president Amit Shah referred to Bangladesh migrants as ‘termites’. Is that humane? They are ‘termites’ or ‘ghuspethi’ in the context of politics and encroaching upon government land. It is a political speech which questions their (Bangladeshi migrants’) encroachment on the political rights of Assamese indigenous people. When it comes to human rights, the incumbent (Central) government’s record is better than many others. Mine and Amit Shah’s stance on the matter is not different. When it comes to dealing with them (migrants) on the basis of political, cultural and land rights, I want to deal with them ruthlessly; but when it comes to rights like health and education, they must be dealt with humanely. This is also the view of our party. It will take time to deport them to Bangladesh, you have to give their children basic human rights. You must understand this line of distinction. SHUBHAJIT ROY: In 20th-Century Europe, the Jews were targeted and called ‘cockroaches’. Don’t you think using the term ‘termites’ for Bangladeshi migrants dehumanises the community? In Assam, in districts such as Morigaon, Nagaon, you will hear more harsh words. The reality is that monasteries are being encroached upon, temples are being demolished every day, temple land is being encroached for madrasas. The use of such words is dictated by the emotions of people. For the minority Hindu population of Morigaon, Nagaon, Goalpara… The kind of torture they face every day, the inhuman treatment, I think these are mild words. The BJP feels for these Hindus. VANDITA MISHRA: But as a party you have a choice, you can either encourage or embolden those harsh words or you can moderate them. So why are you constantly making this choice to encourage this harshness? See, as it is, our identity is finished. We are nowhere in the districts I mentioned, and you are telling us to moderate. Will they (the migrants) believe and understand me? Reality in Assam is very dangerous. If this continues, Assamese people will lose everything in the next 15-20 years. AMRITH LAL: You mentioned that the deportation of the migrants will take 15-20 years. Reports say that they are being kept at detention camps. Will these camps continue till then? The idea of detention is not ours. It is based on an order of the Gauhati High Court. As a political leader, I don’t support it. What about the rights of their children on education and health? I don’t believe 15 lakh people should be kept in detention camps. The Court recently said the camps should have hospitals and schools. The government has sanctioned funds for it. The Court is trying to humanise the detention camps. As a politician, I feel their identity should be digitally recorded and they should not be allowed to claim Indian citizenship in other states. Once that is done, they should be given basic human rights. You must understand Clause 6 in a different context. When the Assam Accord was signed, the cut-off should have been 1951. But Rajiv Gandhi imposed upon leaders of the Assam agitation to make the cut-off 1971. The cut-off for Delhi, Maharashtra, Karnataka, Tamil Nadu is 1951. We took on the burden of illegal immigrants between 1951-71. They are foreigners as per the Citizenship Bill, and the Constitution. We want to make them Indian in the context of Assam. Around 30 lakh people imposed serious political and cultural threat to the people of Assam. 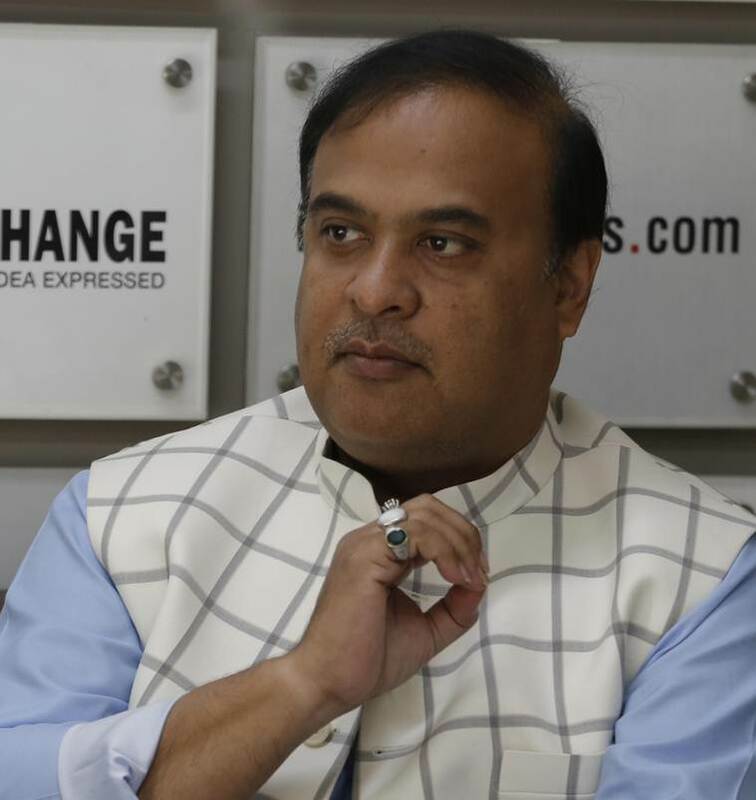 So Rajiv Gandhi incorporated Clause 6 in the Assam Accord, saying that you reserve certain seats for the Assamese in the Assam Assembly, certain land rights… Now we are trying to implement that, which is a protection against people who have been regularised between 1951-71. It’s an acceptable clause. ABANTIKA GHOSH: We have had a spate of lynchings across the country over the consumption of beef. As the convenor of the BJP’s Northeast Democratic Alliance (NEDA), when you visit states in the region, what kind of concerns do people have about this? See, Northeastern people in tribal states, basically those who believe in Christianity, eat beef. So in the Northeast we feel that there should not be any restrictions on eating any kind of food. But yes, our party has a view point, we believe in what (Mahatma) Gandhi said. We say that if people voluntarily give up eating beef or if the government can create a situation where eating beef declines, it is fine. In the Northeast, the people should be given freedom because it is a part of their identity and culture. Our party or any authority should not restrict that freedom. SHUBHAJIT ROY: But why give this freedom only to the Northeast? If you create a set of principles and try to implement it in the South, North, Northeast… It won’t happen. It is not opportunism, neither is it guided by any politics. It is the way we celebrate the diversity of the country. In the Northeast, I know if you say voluntarily give up (eating beef), it will not happen. So why say something in a place where it is not possible? At an individual level, one can choose vegetarianism, but at the society level, India becoming vegetarian, that I will not accept. MUZAMIL JALEEL: But is lynching a person for eating beef justified? The PM has condemned it. Let us end the issue there. We all align with that.